It fits just right and feels just right. 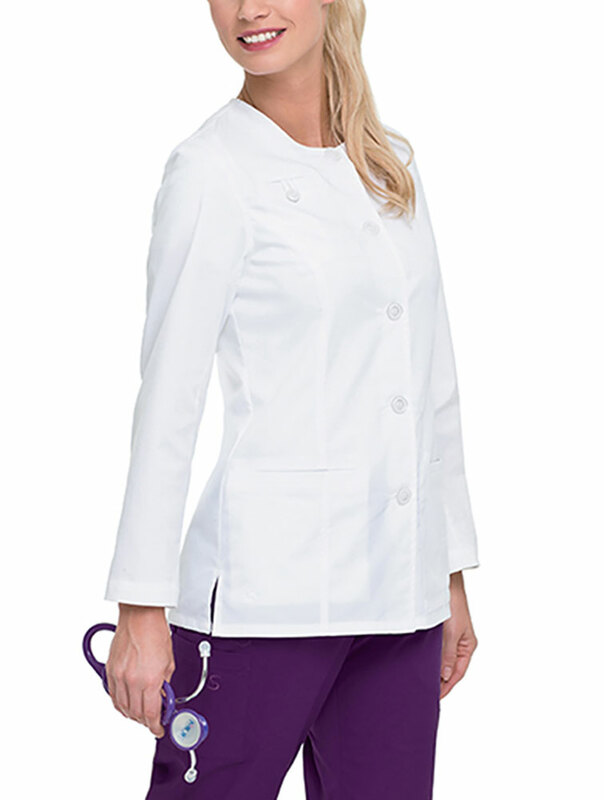 This Smart Stretch warm-up jacket features a banded scoop neckline with five-button closure. Front and back princess seams for shaping. Three welt pockets—one with inside scissor tape—offer plenty of storage. Elasticized interior tablet pocket. 52% cotton/45% polyester/3% spandex. Medium length 29"